Davos (Switzerland) – October 23, 2018 (travelindex.com) – The World Economic Forum objects to the proliferation of the use of the “Davos” brand for events that have nothing to do with its own activities. The Forum, together with the City of Davos, will use all means to protect the Davos brand against illicit appropriation. The Forum also draws attention to its policy not to organize conferences on behalf of a specific government, always preserving its independence and impartiality. Since 1971, the World Economic Forum has been organizing the Annual Meeting of its constituents in the Swiss town of Davos, and the Forum and Davos brands are closely linked. Any use of “Davos” for another event can only lead to confusion and may mislead the public, members of the World Economic Forum and the media as it may imply that the World Economic Forum is responsible for, or part of, that event. The World Economic Forum, as the International Organization for Public-Private Cooperation, is not related to any political, commercial or personal interests. For the Annual Meeting 2019 in Davos, more than 30 heads of state and governments, and over 1,000 top executives of the world’s leading companies have already confirmed their participation. 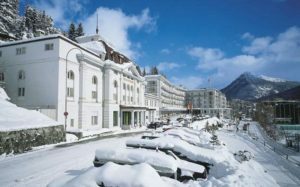 Book your hotel in Davos, Switzerland and around the world in 55 countries at best rates available. Pay at the hotel. Book now at HotelWorlds.com!